Best Picture Books for the New School Year! Oh my goodness, if teachers haven't spent enough already on glue sticks and bulletin board border and what-not...but one of the great pleasures of the plundering of the pedagogue's paycheck is the building of one's own special classroom collection. 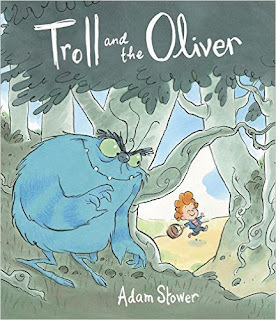 Here are a baker's half-dozen of primary picture book titles that I would hazard to suggest are useful and lovely enough to be considered must-haves of the season. Treat yourself, or if you're a parent, treat a teacher...and know that the children are being treated as well! Mouse's First Night at Moonlight School by Simon Puttock, illustrated by Ali Pye (Nosy Crow). Any child will relate to the feeling of shyness on the first day in a new classroom. 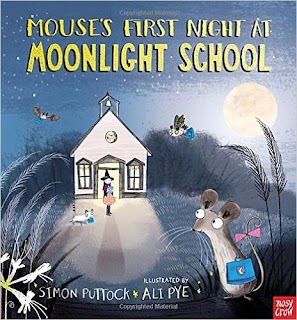 But don't worry...Miss Moon will help the little mouse find friends, and any child who hears this story will be reassured that his or her classroom teacher will do the same! The nocturnal school setting suggests a certain autumnal spookiness that matches well with the timidity of our hero, and the witchy teacher is simply charming. I personally can't wait to share it with primary students during our first week together! There Was an Old Dragon Who Swallowed a Knight by Penny Parker Klostermann, illustrated by Ben Mantle (Random House) I know, I know, another "there was an old woman" formulaic cumulative tale chestnut, but really, this one is very good. 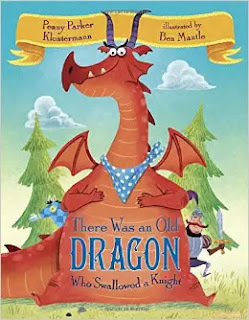 Exciting, bold and funny illustrations and clever rhymes combine with the appealing Medieval setting to make this a favorite read-aloud. 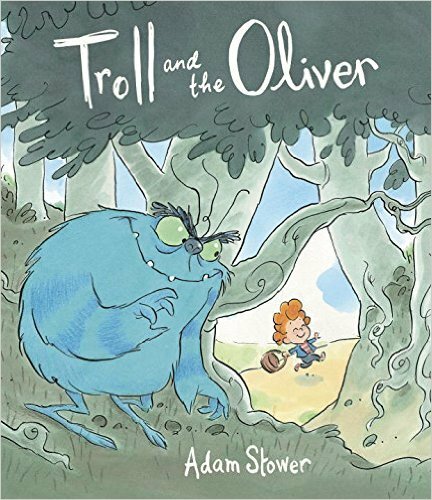 Troll and the Oliver by Adam Stower (Templar Books) Every day around lunchtime, Troll tries to eat the Oliver, but to no avail. With the catchiest refrain since The Gingerbread Man and a great surprise ending, this book is sure to inspire predictions, choral speaking and a lot of laughs. 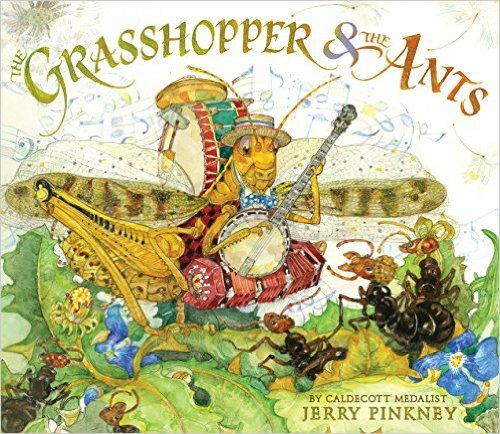 The Grasshopper and the Ants by Jerry Pinkney (Little, Brown) Can't have too many classics, and the beauty of this version of this Aesop's fable by a multiple Caldecott-winning watercolor artist will make you gasp aloud. You should get it just as a present to yourself, though it's bound to prove as useful and cheerful as a song in the long, cold winter months. 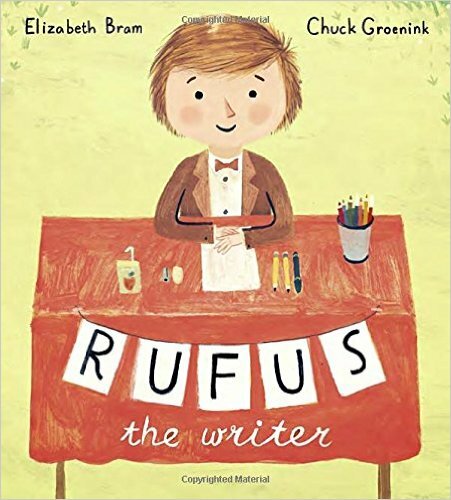 Rufus the Writer by Elizabeth Bram, illustrated by Chuck Groenink (Tundra Books) A story stand instead of a lemonade stand? What an inspired idea! 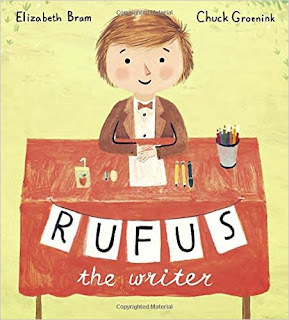 Read how Rufus satisfies his customers, gets paid in an alternative economy and set up your own Story Stand in a writing center. 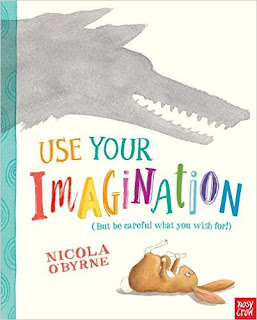 Use Your Imagination by Nicola O'Byrne (Nosy Crow) Speaking of story, a rabbit who happens to be a librarian helps a hungry wolf create a narrative with an ending that keeps him from being the end. Meta marvelousness with discussion of action and setting. Fowl Play by Travis Nichols (Chronicle) One of the trickiest parts of learning a new language is learning the idiomatic expressions, and this book is chock full of them, in the context of discovering who broke Mr. Hound's store window. Mystery of helping ESL students solved! 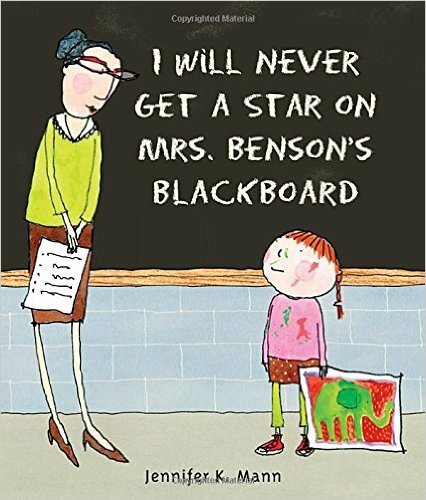 The Whisper by Pamela Zagarenski (Houghton Mifflin Harcourt); I Will Never Get a Star on Mrs. Benson's Blackboard by Jennifer K. Mann (Candlewick); Daisy Saves the Day by Shirley Hughes (Candlewick); Snow White and the 77 Dwarfs by Raphael Barbanegre (Tundra Books); The Little Gardener by Emily Hughes (Flying Eye Books). And where is all the nonfiction, you may ask? 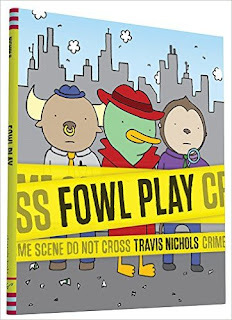 Stay tuned for best books for the new school year part II! In the meantime, please share your favorites in the comments below and how you use them in the classroom! Links for informational purposes. Please support your local independent bookseller!